Bubbles, bubbles everywhere. Kids love bubbles. They love to blow bubbles and they love playing in a stream of bubbles. 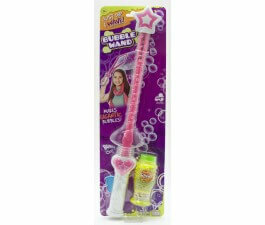 Our online toy store offers variety of bubbles and bubble makers to keep your little ones in a bubble wonderland. 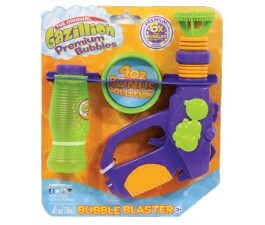 We carry a great range of Gazillion Bubbles and and motorised bubble blowers for automatic bubbles. Your child's next birthday can be a bubble fest with bubbles blowing everywhere. Order your Bubbles Toys online today, or if you prefer, visit one of our kid-friendly toy stores and purchase your child's bubbles. Don’t overlook one of the most fun, classic parts of childhood – bubbles! What’s more fun on a lazy afternoon than blowing hundreds of floaty bubbles and trying to catch them without popping them? At M. Toys, we have lots of bubble toys and lots of different ways of making bubble play fun for your child and his or friends (and you!). Our Barbie Bubble-tastic Mermaid comes with a giant mermaid fin that creates bubbles when you place it in the shell-shaped dipping tray. 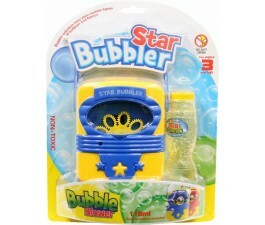 The Playgo Bubble Machine generates more bubbles than you and your child will be able to count! Or catch bubbles with the Bubble Club Bubble Muncher – a cute caterpillar who’s ready to munch on bubbles for breakfast, lunch, and dinner. Toddlers, preschoolers, and even school-age kids love bubble toys – and we have lots to choose from. Bubble toys make fun and inexpensive gifts, and you can play with them indoors or out, any time of year. Get yours today!